Eternity Air captures all the different shades of sky and the purest oxygen in the Sky of The Sky accord and ties it to the essence of everlasting love. 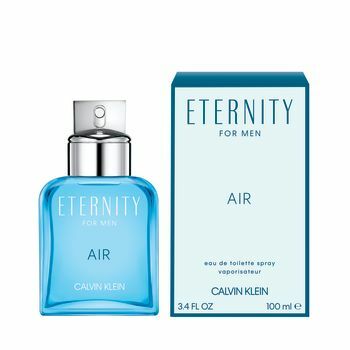 Eternity Air for Men opens with the freshness of the sky of the sky accord, through which a rush of mandarin and juniper berry unfold. At its heart lavender flows in vibrant violet and green apple notes. Patchouli, and ambergris add depth and character as it dries. Dynamic. Fresh. Masculine.